There are some careers that you just never get used to and this to me is one of them. Getting used to it might not be the right phrase, it’s more like coping with it. After a while you begin to get used to it but that feeling in your stomach never seems to go away. Yes, of coarse you have the simple car repo’s that just seem to be sitting there waiting for you to come by and pick up. Doing car repossession work is no different. Using a truck to repo or doing them by hand are two different scenarios completely. Personally I never used a truck so for me, it was never ending adrenaline rushes. Pulling up at 2am having a driver wait for you, getting out in the pitch black with hopefully a set of keys that actually work, getting into someones car and essentially legally stealing it. There is just something about that that is gut wrenching no matter how many times you have done it. Do you get used to it? Yeah you do. Does the gut wrenching ever slow down? No not really. It never did for me, but I like adrenaline rushes so for me it wasn’t that bad. Using a truck to repo has a similar feeling but not nearly as much of a rush. Some repomen learn how to take cars with the truck in around 10 seconds. They are backing up with the boom already down and ready to lift. The biggest issue the trucks have is whether the car is front wheel or rear wheel drive. Nobody wants to drag a car a block or two while getting away. It will make so much noise that surely the debtor will wake up, come outside and have a confrontation with you. It can also possibly damage the transmission of the car. Also when dragging a car you cannot just lift it and go, it must be tied down real well to avoid the car flying off the boom. while you are somewhat shielded using a truck, almost always you end up getting out at the location anyways. A positive thing about using a truck is also not having to worry about guard dogs. 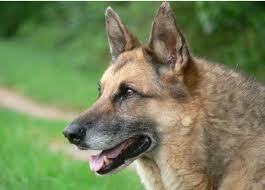 You can read more about dogs and repossessions here. Sometimes never having to get out of the truck is great thing in repossession work. If I was to do it again would I choose a truck? Not sure but it certainly wouldn’t be bad thing. I guess the reason they are so popular is the amount of easy repossessions out there. I never did any easy repossessions, all of mine were skip trace nightmares so a truck wasn’t really needed. Car repossession work can be done in various ways so don’t discount the job just becuase you must do car repossession by way of calling another tow truck.